Chinese people have developed bad habits of antibiotic misuse such as self medicating with OTC products, not finishing the course and hoarding leftover antibiotics for later use, a new study shows. Doctors at the University of Hong Kong made the worrying findings when they surveyed recent Chinese immigrants on their knowledge and attitudes towards antibiotic use. They conducted focus group interviews with 56 recent migrants from mainland China and also conducted phone surveys with 134 Chinese and 1600 Hong Kong residents. The survey showed that both Chinese and Hong Kong-born Chinese had many erroneous beliefs about antibiotics, including the belief that they were effective against viruses and the common cold. One in ten Chinese patients had never heard of antibiotic resistance and most believed that antibiotic would weaken the immune system. A significant minority of Chinese believed antibiotics had significant side effects such as drowsiness or loss of appetite, and said they would stop taking antibiotics when the symptoms had cleared up rather than finishing the full course. About one in seven said they would keep leftover antibiotics and store them in the fridge to 'recycle' them for later use. A similar proportion said they would seek to self medicate with antibiotics bought over the counter - sometimes for 'prevention' of infections - even though OTC sale is illegal in Hong Kong. In the focus groups, many mainland Chinese said they were accustomed to the IV antibiotic infusions that are routinely given to feverish patients in China, and they believed that the oral antibiotics prescribed by doctors in Hong Kong were less effective and led to the infection persisting for longer. However, some respondents said they trusted doctors in Hong Kong more than those in China, and tended to accept their advice on antibiotics and would not ask for antibiotics if they were not recommended. 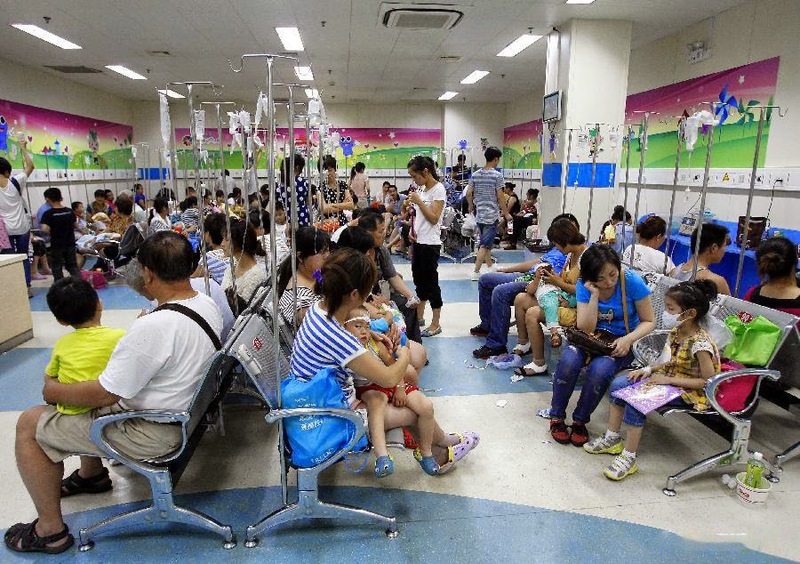 The researchers from the University of Hong Kong said their survey dispelled the myth that mainland Chinese demanded more antibiotics from doctors. It showed that many recent mainland Chinese migrants had acquired some knowledge of appropriate antibiotic usage during their stay in Hong Kong, but the knowledge was not always translated into practice. They suggested that antibiotic education campaigns were needed for both Hong Kong Chinese and their mainland counterparts.